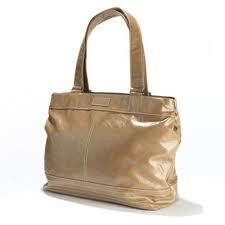 Keep all your essentials in is the Mia Tui bag, big enough to fit a small person in. Amelie is Mia Tui signature large tote with the added plus of the bag being waterproof being perfect for the beach and the interior has multiple pockets, zips, clips and extra bits for absolutely everything you need. Beach book: Go for anything other than Fifty Shade of Grey - Not 100% sure what all the fuss is about?! Environ’s original RAD was the first sun cream in the world to enhance protection. No wonder that fair skinned actress Naomi Watts counts RAD among her favourite Environ skincare products. 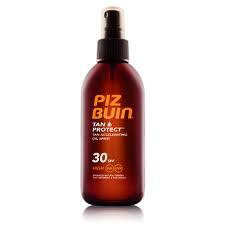 and then for after a few days in the scorching heat it's time to whip out the Piz Buin tan & protect, tan accelerating oil! This is the first SPF oil range that includes Melitane, which is a technology that accelerates the natural tanning process, while still providing effective SPF sun protection. It gives a beautiful, bronzed colour, safely and quickly, so that you don't have to spend as long in the sun. The Tan Accelerating Oil Spray range is easy to apply and fast-absorbing - the oil nourishes the skin leaving it smooth and glossy, without a greasy feeling. RRP is £17.35 and available from Boots and other leading retailers.